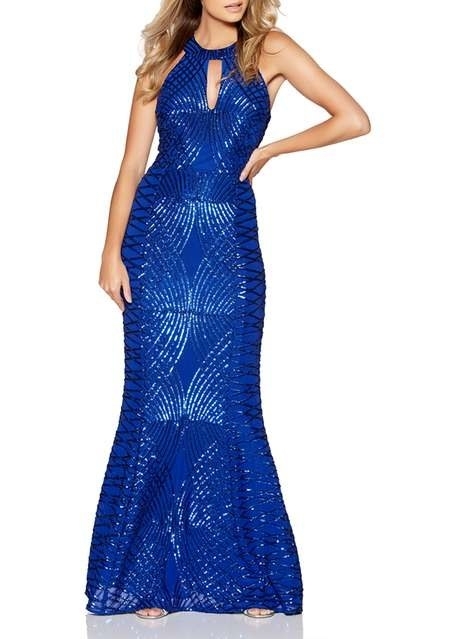 Options in every shape, size, color, style, and price range so you can look like a star on your prom night with just a few clicks. Happy shopping! 1. Nordstrom carries classy prom dresses from many different designers for a look that's red carpet–ready. Why it's great: With free shipping and returns you don't have to worry about wasting money if you end up not liking the dress and wanting to return it. Get the Katie May Legacy crepe body-con gown for $295 (sizes 0–16, five colors) or the Morgan & Co. embellished cutout gown for $219 (sizes 3/4–11/12). 2. Boohoo offers party-ready looks at prices that won't require you to spend every last penny you make at your after school job. Why it's great: Boohoo drops more than 100 new products daily! You can choose from show-stopping floor-length gowns, stylish mini dresses perfect for dancing the night away, or midi dresses which are totally in this prom season! Get the Elizabeth plunge ruffle dress for $20.40 (sizes 4–10, three colors) or the halter ruffle maxi dress for $57.60 (sizes 4–10, two colors). 3. Torrid is a plus-size brand that sells glamorous dresses that'll totally make a statement. Why it's great: You can choose either a regular or short inseam on many dresses so you'll be less likely to have to take your dress to a tailor or teeter around on too-high heels to keep it from dragging on the floor. Get the red velvet cutout gown for $32.48 (sizes 10–24) or the black lace midi dress for $96.67 (sizes 10–30). 4. 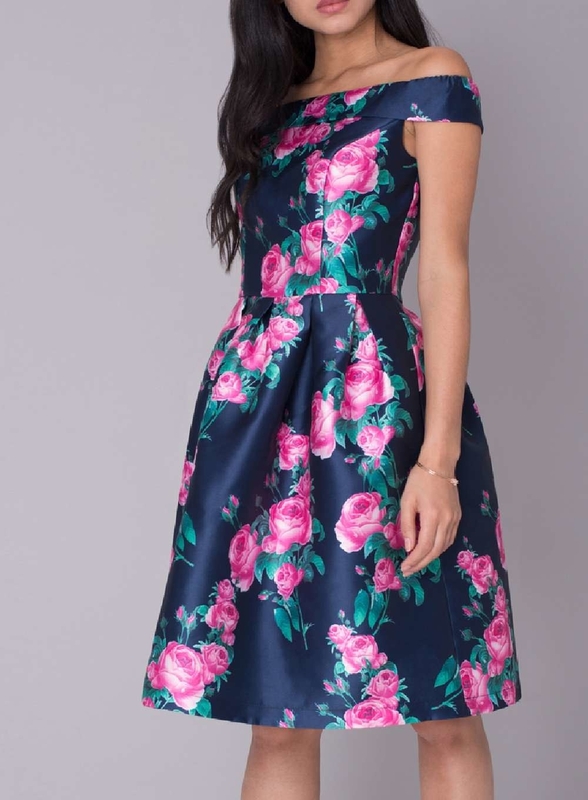 ModCloth offers quirky and vintage-inspired dresses that speak to your unique style and personality. Why it's great: ModCloth's dresses are available in inclusive sizes up to 26 so it's easier to find a beautiful dress to stand out in! Get the retro sequin dress with cape sleeves for $149 (sizes XS–4XL) or the Chi Chi London rein or shine lace dress for $149 (sizes 2–26). 5. Rent the Runway — because most people never wear their prom dresses again why not rent one and save yourself some money? Plus, you could get a fancy designer dress you wouldn't be able to afford buying! 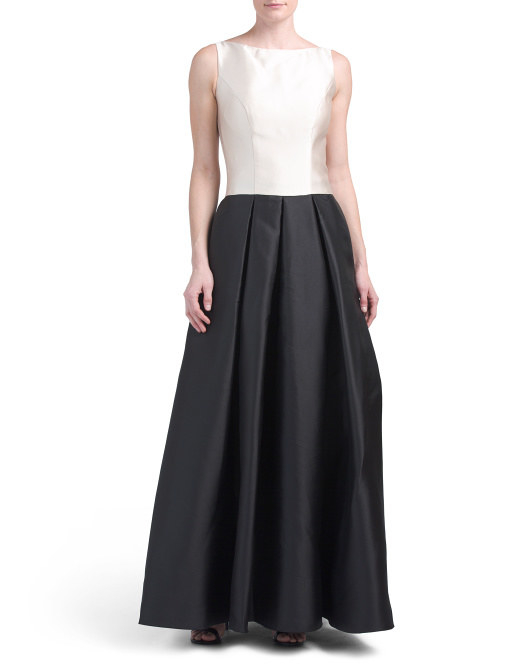 Why it's great: Get stunning designer dresses at a fraction of their retail prices. If you happen to live by one of their five retail locations you can go and try on a bunch of dresses to pick your favorite one and find the right size for you. When your event comes they will send you your size and a free back up size just in case! You can rent an item for either four or eight days. Don't worry about cleaning it. Just ship it back and they handle the dry cleaning. What could be better? Get the Monique Lhuillier green floral lace dress for $75 (sizes 0–18) or the Dress The Population Chrissie dress for $40 (XS–L). 6. 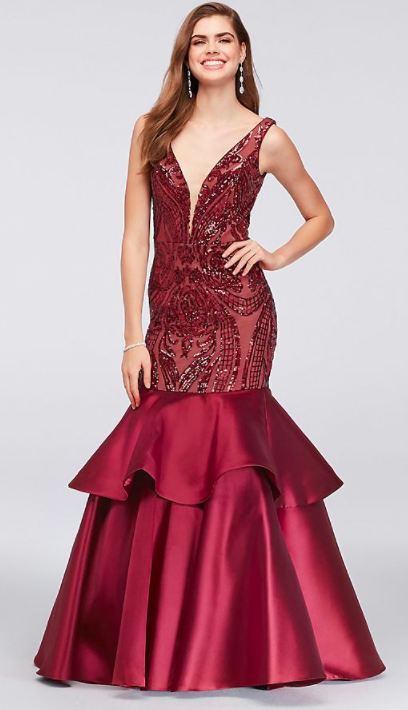 Amazon has a variety of prom dresses in every style imaginable at prices that'll shock your friends when they discover your gorgeous gown cost less than $50! Why it's great: Customer reviews and photos will let you see what the dress looks like on real people, not just models! And, with Amazon Prime, shipping and returns for most items will be free and easy so you can order a few, pick your fave, and return the rest! Get the 1920s Gatsby sequin maxi dress for $39.99+ (sizes 2/4–18/20, 15 colors) or the retro floral lace cap-sleeve dress for $28.99 (sizes S–2XL, three colors). 7. Anthroplogie delivers a perfectly curated mix of formal dresses and jumpsuits that are like artwork for your body and will totally make a statement on your special night. Why it's great: You definitely won't blend into the crowd in something from Anthropologie! Try a formal jumpsuit to really make a statement and show your unique style! 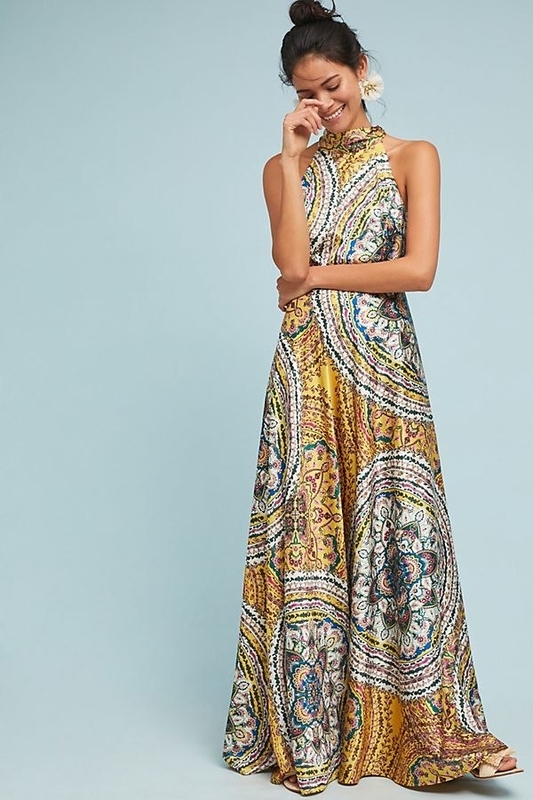 Get the Nicole Miller New York paisley maxi dress for $258 (sizes 0–14) or the Petersyn Ethan bow jumpsuit for $380 (sizes XS–L). 8. BHLDN, Anthropologie's sister store, carries a large selection of unforgettable formal dresses that'll WOW everyone at prom. Why it's great: You can accessorize your dress with their large selection of shoes, jewelry, and clutches! Get the Goldie dress for $400 (sizes 0–12, two colors) or the Tonya dress for $260 (sizes 0–16). 9. 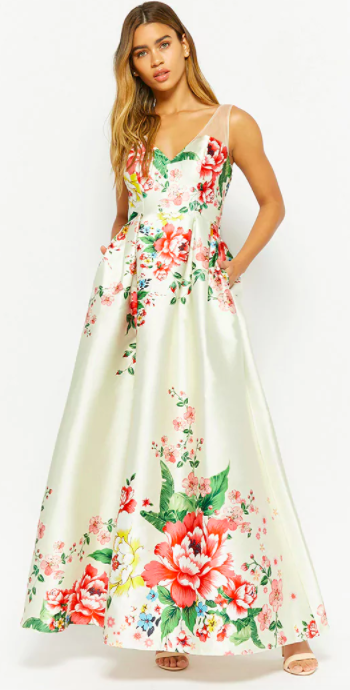 PromGirl offers thousands of gowns worthy of a Disney princess so your prom night can be the fantasy you've always dreamed of. Why it's great: With thousands of dresses in hundreds of different styles, colors, and sizes you are guaranteed to find your dream dress! Sit back and relax because you could be browsing this site for hours! Get the satin off the shoulder dress for $249 (sizes M–2XL, six colors) or the two-piece prom dress for $198 (sizes XS–2XL, two colors). 10. Asos sells stylish and affordable dresses in a variety of very inclusive sizes. Why it's great: Asos carries over 80,000 products from brands around the world and their own brand. It is very inclusive with sizes and has dresses available in plus-size, petite, tall, and maternity sizes so there is something for everyone! Get the French Connection embroidered maxi dress for $395 (sizes 2–12) or the plus-size Bardot cold shoulder dip back pastel stripe dress for $95 (sizes 12–24). 11. Forever 21 features an impressive selection of trendy formal dresses at prices that won't empty your wallet. Why it's great: With such a huge selection of styles and more rolling in each week, you can avoid the "same-dress" nightmare! Get the floral mesh gown for $68 (S–L) or the plunging mesh maxi dress for $48 (S–L, two colors). 12. David's Bridal sells classic gowns that are guaranteed to make a grand entrance. Why it's great: David's Bridal is a one-stop shop for all things prom! You can find a prom guide, prom trend report, and prom checklist to help you make the most of your special night! Get the sequined mermaid dress with tiered skirt for $299.95 (sizes 0–16) or the cold shoulder glitter gown for $119.95 (2–16). 13. City Chic is a treasure trove of stunning plus-size dresses. Why it's great: City Chic has new styles arriving weekly! It also has a fit guarantee and free returns so no worries if you get buyer's remorse! Get the dolce rose sheath dress for $169 (sizes 14–24, two colors) or the pleated ombre halter maxi dress for $149 (sizes 14–22). 14. Pretty Little Thing features slinky little numbers that'll make everyone wish you were their date. Why it's great: These are not the single-wear type of dresses. You'll find yourself searching for another opportunity to rock your prom dress! Get the sequin fishtail maxi-dress for $75 (sizes 0–12) or the floral bandeau midi dress for $128 (sizes 0–12). 15. Unique Vintage is like a style time machine with its vintage-inspired frocks perfect for anyone who wishes they were going to prom in a different decade. Why it's great: The site has filters that let you narrow down the options to dresses from your favorite decade! Complete your throwback look with fun shoes and accessories! Get the1920s fringe dress for $110 (2XL–4XL) or the 1950s swing dress for $118 (XS–XL, three colors). 16. 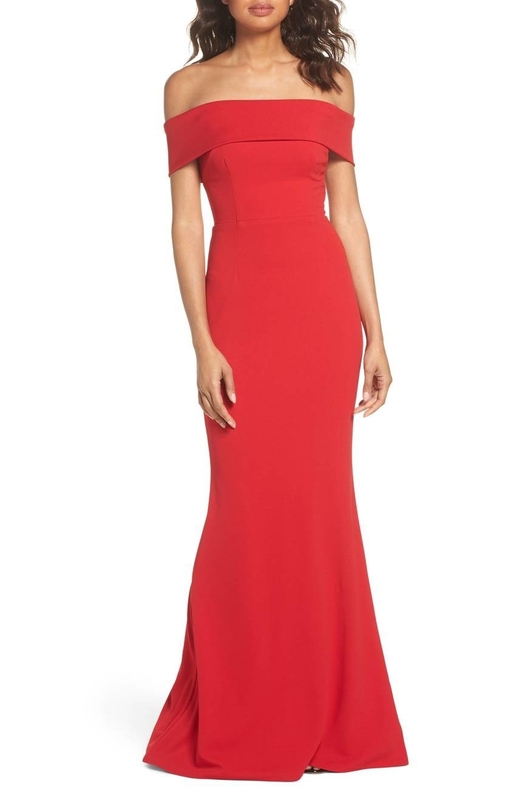 Macy's expertly curates gorgeous dresses from lots of different designers and brands so you don't have to search tons of websites to do it yourself. Why it's great: Use Macy's many site filters to narrow down your search to the style, color, size, length, price, or designer you want! Macy's can take all the guesswork out of online prom dress shopping! Get the Betsy & Adam cutout illusion gown for $209 (sizes 0–10) or the Teeze Me glitter mesh illusion gown for $118.99 (size 0–9). 17. Free People carries beautifully boho dresses that'll inspire you to unleash your free spirit on the dance floor. Why it's great: Free People is well-known for its casual bohemian threads but its impressive selection of party dresses has many options that are perfect for prom! Get the Abby dress for $329 (sizes 0–12) or the mermaid mini party dress for $300 (sizes 0–12). 18. TJ Maxx is a reliable source for designer dresses at bargain prices so you can feel like your splurging on your dress at a price that you can actually afford. Why it's great: You get a designer gown, shoes, and accessories for a fraction of their usual retail prices! You'll be the ultimate Maxxinista when you're decked out in designers like Adrianna Papell, Jay Godfrey, Jovani, Betsy & Adam, and Terani Couture. Get the Macduggle two-piece sequin gown set for $199.99 (sizes 4–16) or the color blocked ball gown for $149.99 (sizes 6–14). 19. Dorothy Perkins sells lovely dresses that just scream "Prom Queen!" Why it's great: All of Dorothy Perkins' clothes are ethically sourced meaning it monitors and manages its social and environmental impact. The clothes are made in safe work environments by workers who are treated and paid fairly. Plus, you can get a 10% student discount! Get the floral Bardot midi dress for $79 (sizes 4–12) or the royal blue maxi dress for $119 (sizes 4–12). 20. Showpo is an Australian brand that sells affordable trendy clothing. It has a killer selection of formal dresses! Why it's great: Showpo recently introduced sizes 12–16 so their sizes are now more inclusive! Get the One For The Money dress for $69.95 (sizes 4–16) or the shooting arrows crochet dress for $69.95 (sizes 2–16). 21. Windsor store offers colorful and fashion forward gowns fit for a celeb. Why it's great: Windsor Store is dedicated to inspiring and empowering women. 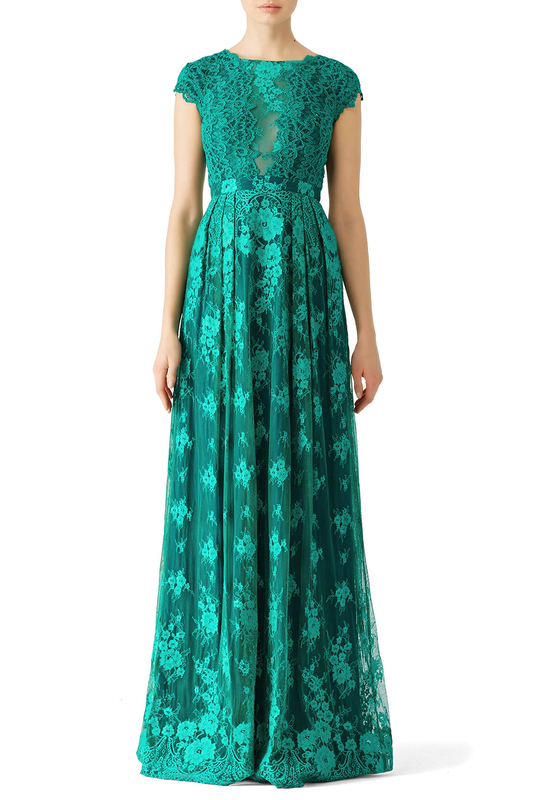 They curate a selection of dresses that'll make you feel confident and beautiful! They also have a giveaway contest called The Cinderella Project that gives 100 winners a $150 gift card each to purchase their dream prom dresses! The contest is open until March 31st! Get the Sienna two-piece dress for $139 (sizes 3–13) or the Lizzie dress for $64.90 (sizes XL–3XL). 22. Tobi has fun and flirty dresses that are sure to turn heads. Why it's great: Tobi always seems to have the biggest and best sales! If you time your purchase right you could get your prom dress for up to 50% off! Get the Gianna silver beaded bodycon dress for $168 (sizes XS–L) or the Wanderlust lace maxi dress for $44 (sizes XS–L, three colors). 23. Etsy is a collection of shops run by individual owners around the world! 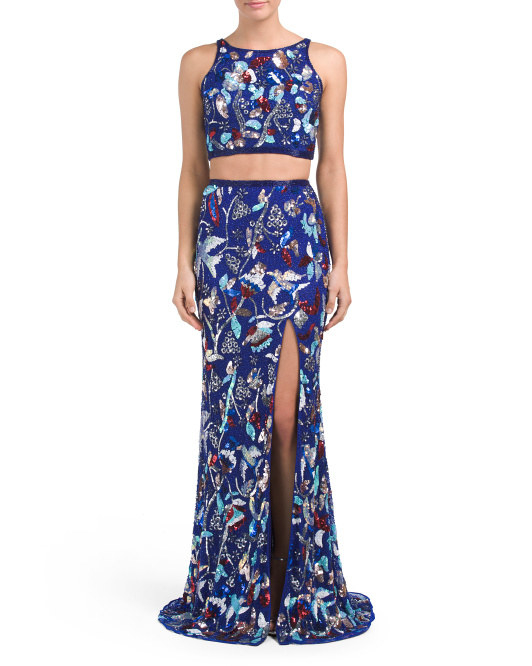 It's your go-to place for unique prom dresses that no one else will have. Why it's great: Dresses from Etsy shops can't be found on any other retail site. They can often be customized for your size or style if you just shoot a quick message to the shop owner. Plus, you'll be supporting small businesses around the country and the world while finding the most unique dresses out there! 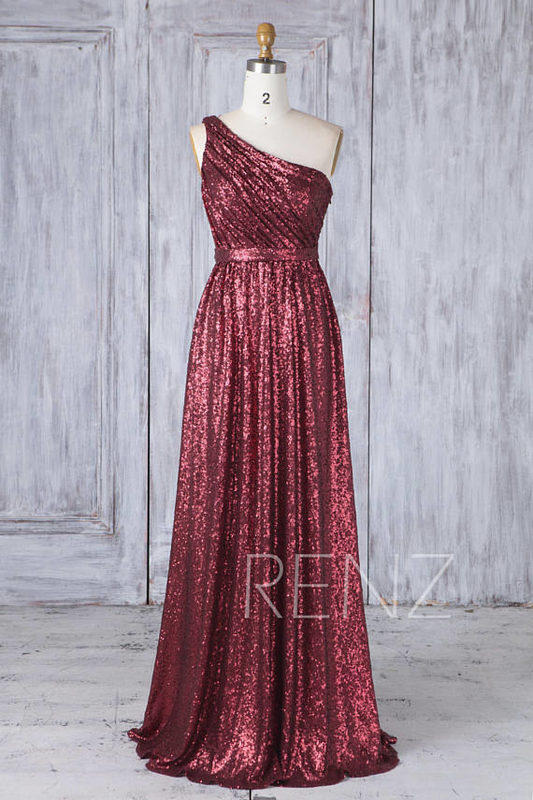 Get the sequin and lace one-shoulder dress from RenzRags for $159+ (sizes 0–16 or a custom size) or the purple cheongsam embroidered dress from DesignBridal for $68+ (sizes 4–10 or a custom size, two colors). 24. 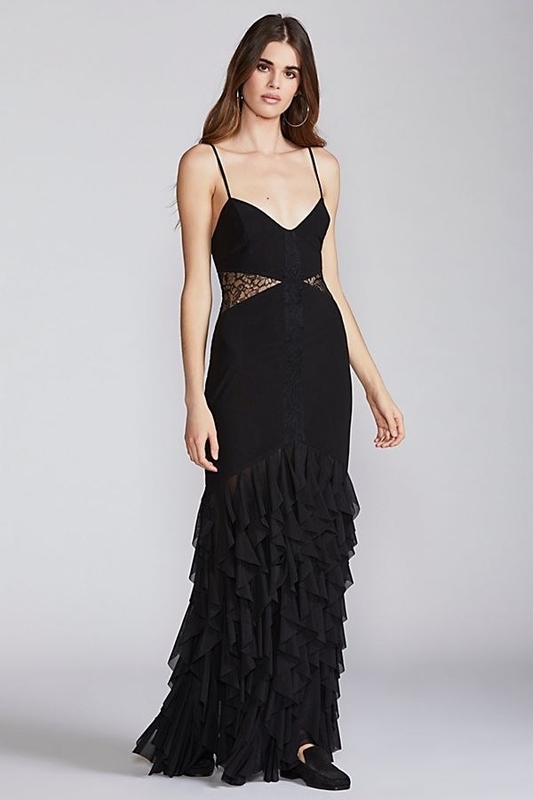 Hot Topic features edgy dresses that'll make you feel like a total rockstar on your prom night. Why it's great: Hot Topic has a ton of clothing that references pop culture and some dresses inspired by popular fictional characters for those who like to put on a show! Get the floral music dress for $47.92 (sizes 12–28) or the embroidered romper dress for $34.32 (sizes S–XL). 25. Lulus specializes in pretty dresses that are on trend and on budget. Why it's great: With hundreds of formal dresses to choose from you're bound to fall in love with more than one. Go ahead and try a few because returning the ones you don't pick is free! Get the sequin ombre dress for $122 (sizes XS–XL) or the navy lace maxi dress for $60 (sizes XS–XL, two colors). 26. Bebe carries lots of flashy yet sophisticated dresses that will look beautiful as you twirl around on the dance floor. Why it's great: Bebe dresses are colorful and have playful details like fringe, ruffles, or feathers! Get the Mae ruffled high-low gown for $229 (sizes XS–XL) or the bustier bandage dress for $139 (sizes 2XS–2XL, three colors). 27. Eloquii is a plus-size company with a small but mighty selection of elegant dresses. 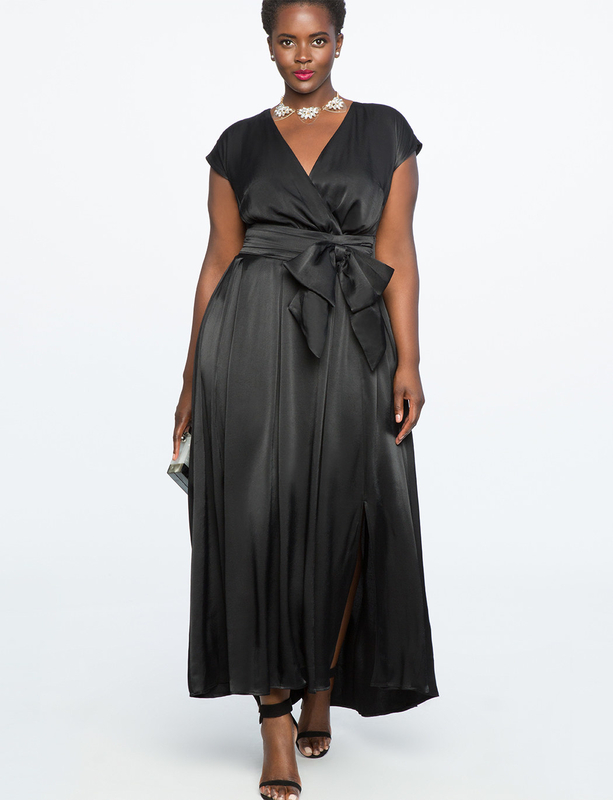 Why it's great: Eloquii often collaborates with other brands to bring their style to the plus-size market. A recent collaboration with Reece Witherspoon's Draper James features lots of fun clothes and a few perfect-for-prom formal dresses! Get the sequin off the shoulder dress for $79.99 (sizes 16–28) or the drop shoulder gown for $169.90 (sizes 14–24). 28. Missguided sells trendy dresses any fashionista would love to rock at prom. Why it's great: These dresses won't be a waste of money for one night because they can definitely be worn again for other occasions! Get the silky one-shoulder dress for $51 (sizes 4–12) or the plunge lace skater dress for $77 (sizes 0–12). 29. Venus carries tons of eye-catching dresses in both straight and plus sizes. Why it's great: Venus is a company with a passion for fashion. It monitors, runways, celebrity, and magazine trends to bring you the freshest styles possible! 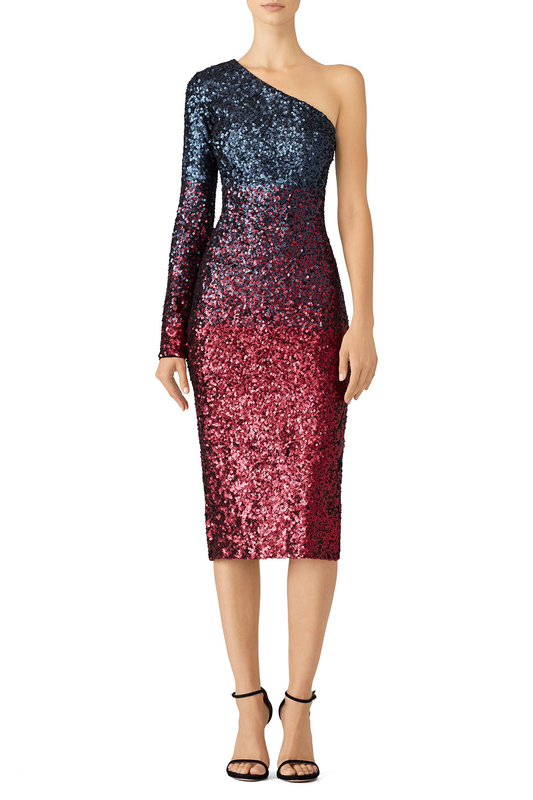 Get the ombre glitter dress for $39.99 (sizes XS–3XL, four colors) or the velvet dress for $34.99 (sizes XS–3XL). 30. Revolve has chic dresses that'll make you feel like you hired a celebrity stylist. Why it's great: Revolve curates pieces from tons of designers like Needle & Thread, Michael Costello, Lovers + Friends, NBD, and Alice McCall. Get the X by NBD on the low gown for $268 (sizes 2XS–M) or the Likely Alameda gown for $398 (sizes 0–10, two colors).